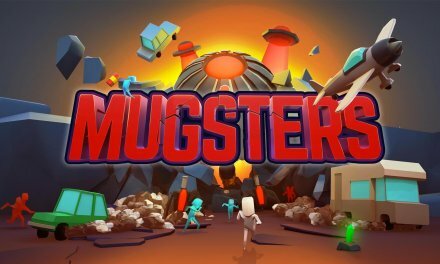 FORMER RARE EMPLOYEES KICK IT INTO GEAR WITH KICKSTARTER FUNDED RELEASE! Who remembers the glory days of the Nintendo 64? From 1996 this classic console shipped over 32 million units worldwide until it’s continuation in 2003 and in those seven years it boasted a library of games that are held in the highest of regards even to this day! And when you talk about the N64 it’s hard to not mention Rareware. This Leicestershire based development company are responsible for some of the best games of all time and I’m not talking about just on the Nintendo. These include Perfect Dark, Goldeneye 64, Conkers Bad Fur Day, Donkey Kong Country and the Banjo Kazooie series, which brings me on to Team 17 & Playtonic Games’ Yooka-Laylee. 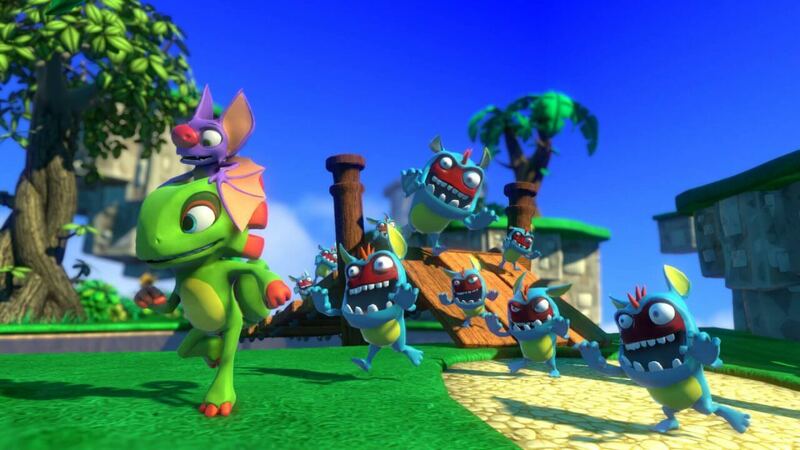 After Banjo Kazooie: Nuts and Bolts failed to meet fans expectations the team of former Rare developers have clearly set out to fill the void of what the loyal gamers wanted with a whole new brand. This spoke volumes when Yooka-Laylee’s Kickstarter made a staggering £2 million, absolutely obliterating its target of £175,000. With the developers promising that it was going to be a ‘Rare-vival’ it’s no wonder why the fans have helped fund this. But have they delivered? OOOOOOOOOOH HAVE THEY EVER!! 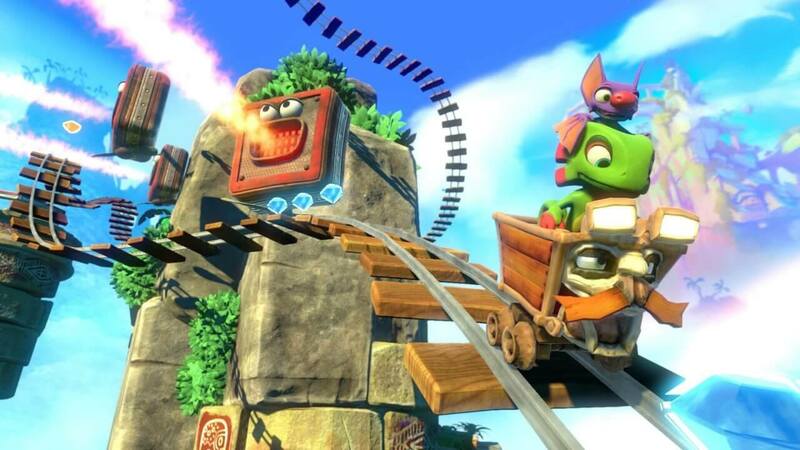 Yooka-Laylee proves that classic platforming is still relevant and can still be done well and looks to be one of the most promising titles of the year. In this title, we meet a chameleon named Yooka and a bat named Laylee who have their seemingly normal book taken away from them by our games protagonists, Capital B and Dr Quack, who are looking to steal every book in the world. With its pages scattered our heroes set out to find them. 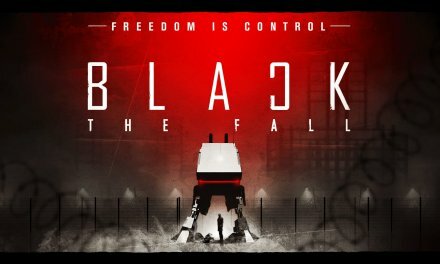 This is a simple, light-hearted premise that doesn’t take anything away from the games itself, doesn’t cause a distraction and its simple plot bodes well with the tradition 3D platformer style much like those from the 90’s. Some people may see this as a Banjo Kazooie clone with a different skin but to me, this just fills me with the same gleeful feeling of playing the original years ago. 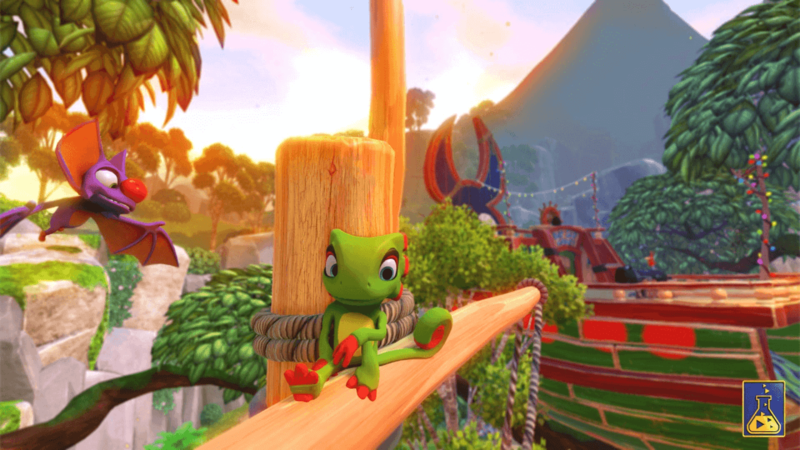 The first thing you’ll probably notice about Yooka-Laylee is it looks absolutely beautiful. It’s crystal clear, vivid, electrifying and colourful outer layer melds so perfectly with the games playful aesthetic, its ice world is especially breathtaking. Everything you look at in this time looks so alive and vibrant and it looks to me that every little detail has been met with the same priority as the grand scheme of the game itself, when some environment lacks colour it only makes up for it in atmosphere. And with so much to explore in each world, it’s amazing to find out that each world can be expanded and made bigger when you find enough gold pages so there’s more to traverse! Giving you more reason to take your time on each level and revisit them. The character models look extremely well animated, lively and are at such a cinematic quality that I can’t help but applaud the craft that has gone into this. Sound effects are playful and quirky and the soundtrack is masterful perfectly matching each situation and each land you step foot in. My only gripe with this is the way the characters talk, sure it’s reminiscent of the Banjo days that the developers helped create but the sounds each character makes sounds like it has been stitched together carelessly. Some of the other characters you meet along your travels are entertaining but can be a bit hit and miss when it comes to imagination, but they each serve their purpose and don’t come across as simple bystanders. Characters like Trowzer the Snake (I see what they did there), Dr Bones, Nimble and a cameo from another franchise’s main character (I won’t say who) only make the game feel more delightfully animated and helps breath more life into it. Yooka-Laylee also disregards the fourth wall superbly, it is fully aware that it is a video game and does it in such a fashion that it really does bring you back to the glory days of Rare. And to compliment the fantastic visuals and characters is next to flawless gameplay. Controlling Yooka and Laylee throughout your is no chore I tell you! The controls are fluid as water and expertly laid out, and each movement is so expertly done that it is simply hard to put into words honestly. The age old tradition of scouring the environment collecting items is executed magnificently and works in well as the quills you collect can be used to purchase more attacks as well as means to reach places you couldn’t previously. The trial and error platforming of days gone by are back in Yooka-Laylee but are not over difficult enough to necessitate a rage quit. Also with great gameplay comes awesome and unique mechanics in the form of berries to eat that give you different abilities not only to use as projectiles but also give you the ability to shoot fire or water, honey that makes you stick to surfaces (the sound effect of your feet peeling off the floor was music to my ears, enjoy the little things eh?) and cannonballs to make you heavier, all this variation gets your mind working and makes you think what can you do with these abilities to reach your goals making Yooka-Laylee not only a feast for the eyes but a feast for the brain also. 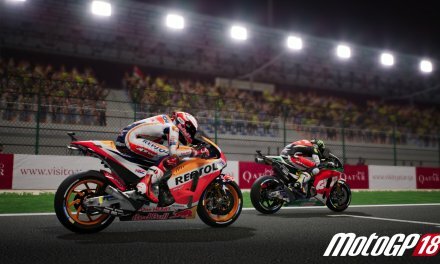 Side missions and mini-games can be good fun and make the game feel broader with puzzles, obstacle courses and race tracks galore however there seems to be little variation with the exact same missions sometimes appearing just in different levels. 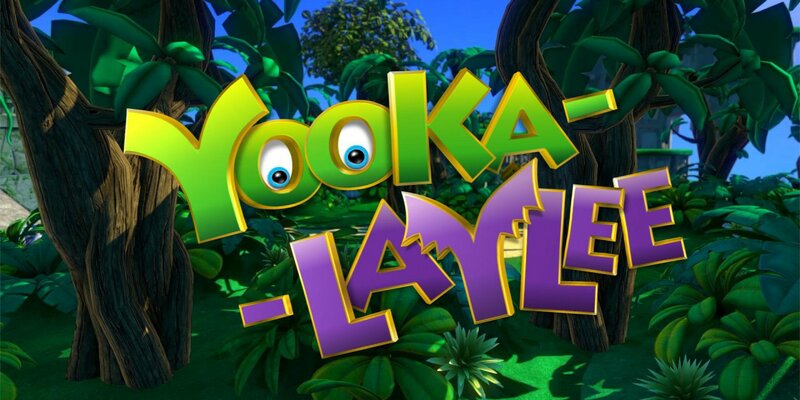 Summary Well and truly, Yooka-Laylee is the spiritual Banjo successor that the fans deserve! It has been a long time coming for this to become a reality and the fact that the people have helped fund it out of their own pockets only amplifies the gravity and prestige this game has garnered even before it’s release. 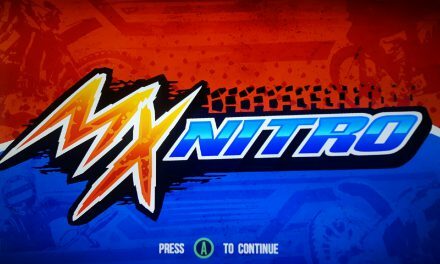 If your are a lover of the N64 days of Rare and have yearned for this you are a fool not to pick this game up (A FOOL I SAY!) Almost every last detail has been articulated to an immense degree; the imperfections in this game are easily overlooked and take next to nothing away from the experience. In closing Yooka-Laylee is a fantastic new property and I feel we have one of the games of the year in our midst.